This sophisticated yet swanky color palette is our spin off of the traditional boy baby shower party. Make a lasting impression with the bold navy blue with mint and gold accents that will really set the party off. MORE IS BETTER! 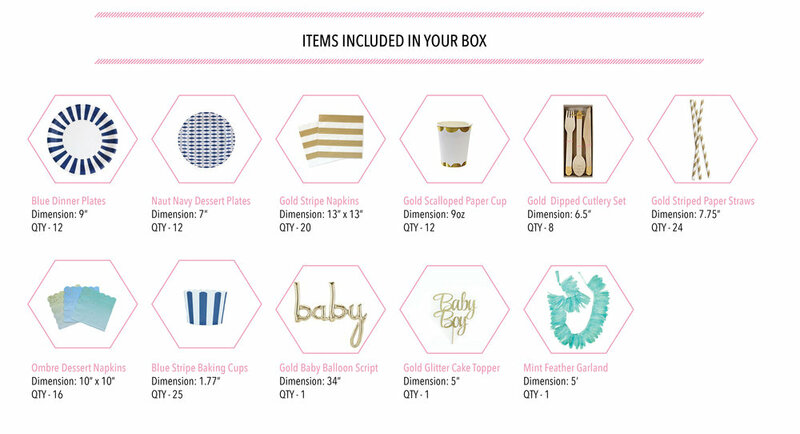 ADD THESE ITEMS TO YOUR PARTY BOX!